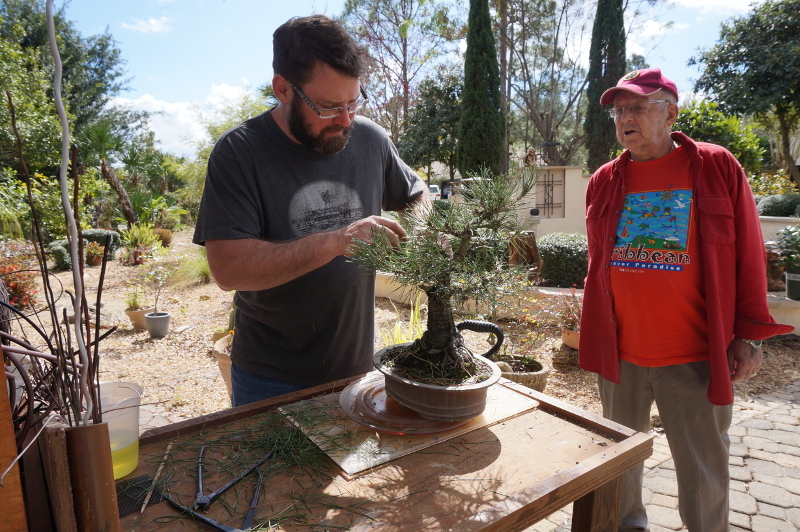 Last Sunday I went with Jason to Palm Coast where I watched him trim and re-pot several trees that were in a personal collection. If I didn’t know exactly how to re-pot a bonsai tree before Sunday then I definitely do now. I did already have a little bit of experience watching Jason work but this really hammered the entire process of repotting into my head. We will actually have a video up on YouTube later this week that shows exactly how to do it. What I’m trying to say is that I’ve got it down. I could do it if I had to and hey, that’s cool. Look at me, learning stuff and paying attention.